We had to make a couple of these table a year or two back. They are so hard to find at this size - just under 1300mm in diameter. 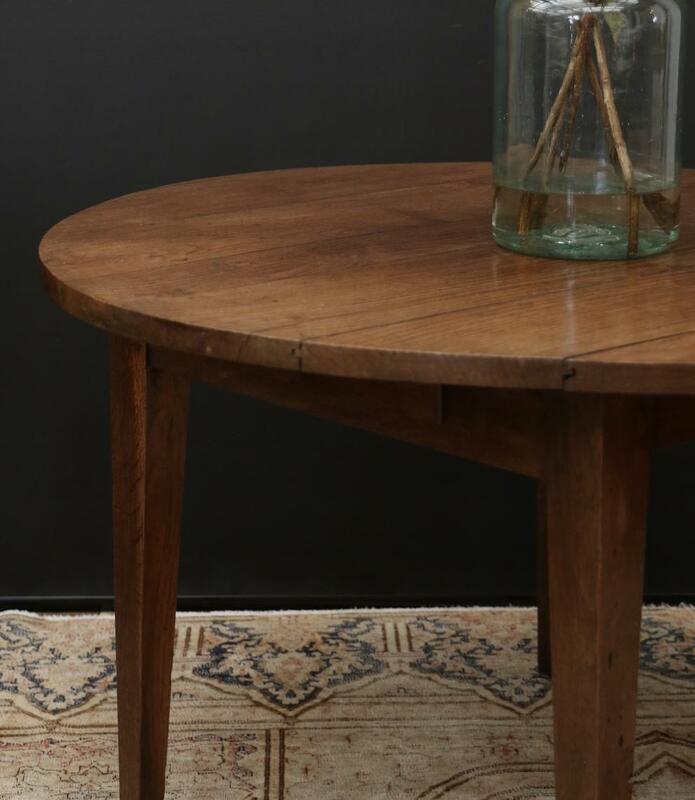 This crown-cut French oak table has tapered legs and mortice and tenon joimts. The outer boards drop to allow easy transport through a normal doorway. 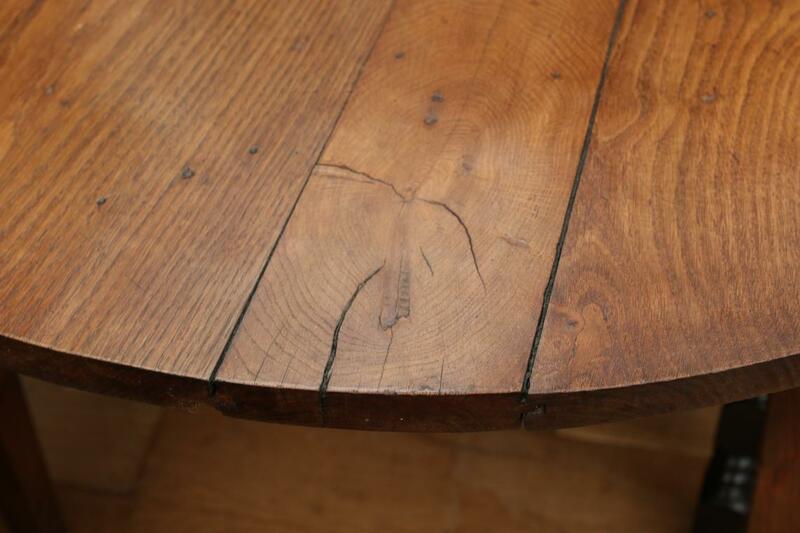 Strong stable design combined with glorious rich timber create this very desirable six seater dining table. 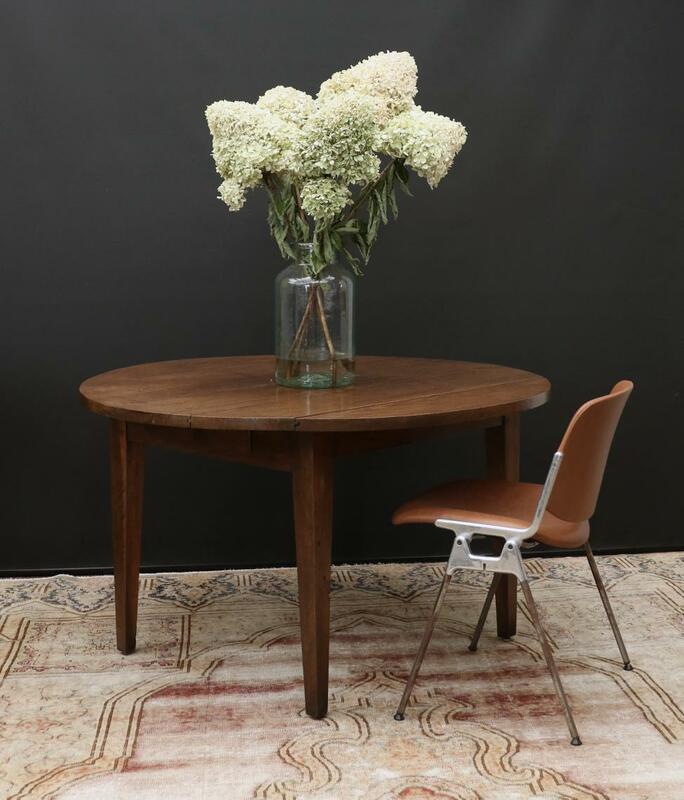 If you are interested in sourcing a similar piece please call us on +64 9 529 1660 or email info@js.co.nz quoting #110-92.